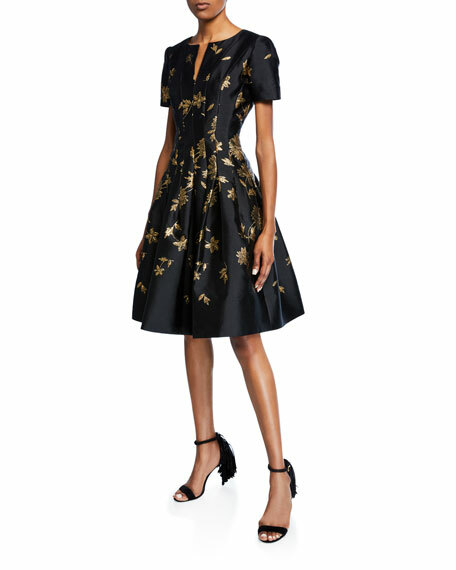 Oscar de la Renta cocktail dress in floral degrade jacquard. 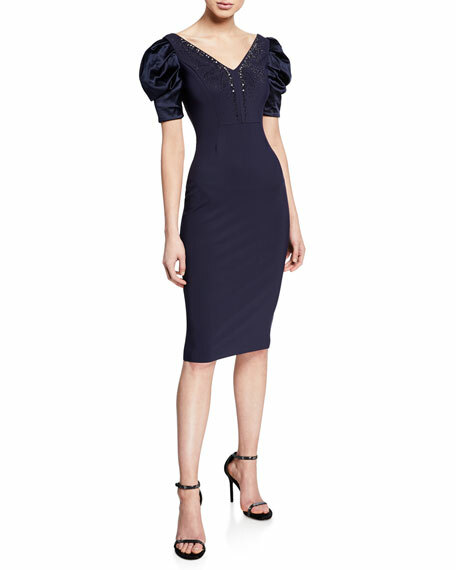 Chiara Boni La Petite Robe "Meve" cocktail dress with beaded neckline. V neckline. Short satin sleeves. Bodycon silhouette. Knee-length. Raw-edge hem for ease of tailoring. Step-in style. Nylon/spandex. Made in Italy. 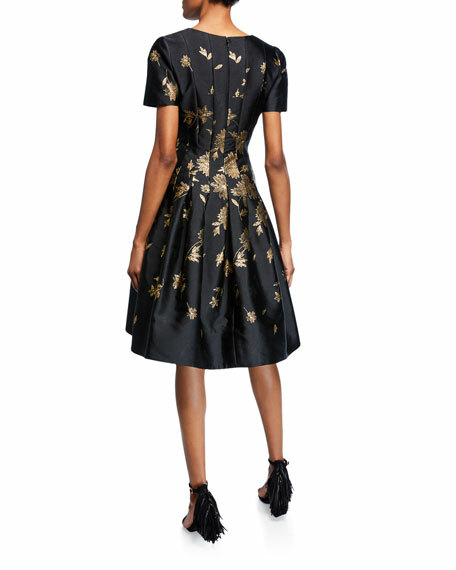 Chiara Boni La Petite Robe "Shushana" cocktail dress. 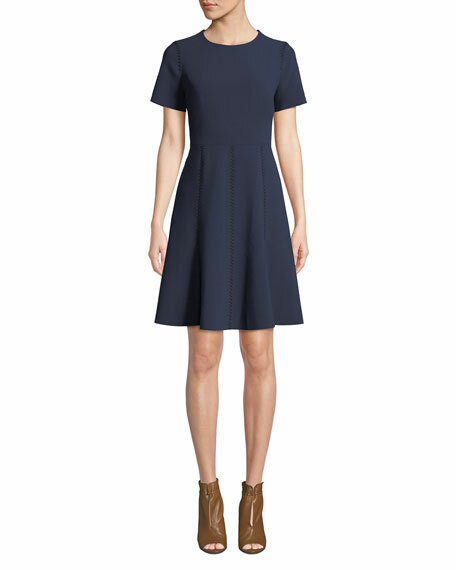 Wide V-neckline. Short cap sleeves. Shirred bodice at front. Body-conscious silhouette. Knee-length. Straight hem. Raw-edge hem for ease of tailoring. Step-in style. Nylon/spandex. Made in Italy.